The Tactical Tribal Hand Axe is an incredible tool for survival. Whether you are hunting, camping, or hiking, this tactical weapon will help you overcome most obstacles that mother-nature can throw at you! Keep it handy outdoors! 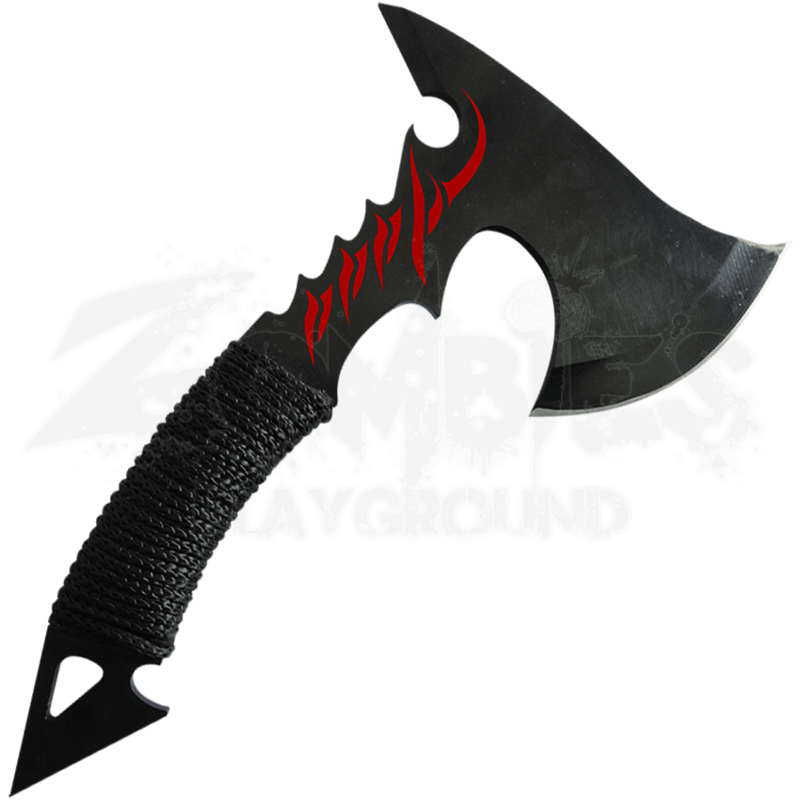 This stainless-steel hand axe possesses a blackened finish with red tribal markings on the haft. The back of the axe head comes to a beveled poll spike, which is useful for hooking and pulling objects. Decorative spikes and serrations on the haft of the axe lend to the tribal aesthetic of the axe, while a black paracord wrapped handle accents the axes tactical nature. In an emergency, the paracord can be unwrapped from the handle, providing you with a long line of durable paracord rope. The pommel of the axe comes to a decorative spike that features a teardrop shaped hole. The nylon sheath that this tactical tool comes with is designed to securely cover all the sharp bits of the axe and features a belt loop for easy carry. 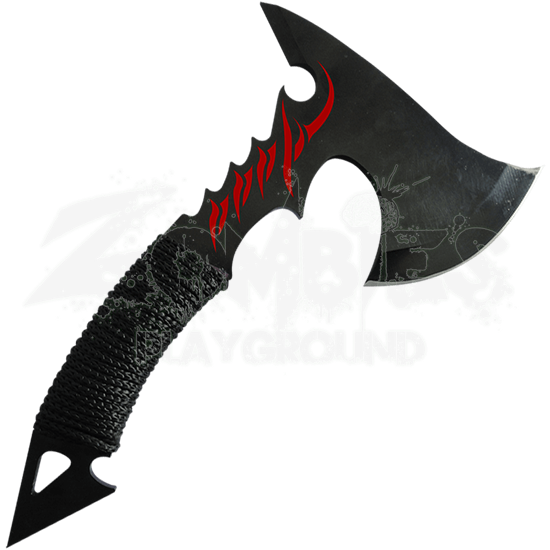 Perfect for use outdoors, this tactical hand axe is an incredible camping, hunting, and survival tool, making it a great gift for lovers of the wilderness, hunters, and survivalists alike!